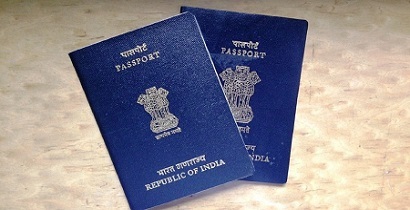 Issue of Fresh or New Passport: You can apply New Passport or Apply Fresh Passport if applying for the first time and never held any Passport in Life Time. You should have the following documents. 1. Aadhar Card should be on Present Address, where you are staying and police verification to be done. 2. Matriculation 10th Certificate. (Optional, Required for ECNR). 4. Pan Card/Driving Licence/Voter ID (Any One in these). It is Optional. 5. Any One Utility Bill on Current Address (Gas/Electricity/Telephone/Mobile Post Paid Bill/WaterBill). It is Required. It may be on any Name. 6. Wife/Husband Aadhar (For Married Applicants). IF YOU HAVE THE DOCUMENTS AS MENTIONED ABOVE THEN ONLY TAKE OUR HELP. 1. E-Mail us your requirements and send documents on enquiry@khannaassociates.com OR Whatsapp with clear images of the docuuments at Mobile.No. 9015-698-698. 2. We Will Advice for Correct and Accurate Documentation and confirm you and ask for any document required. 3. We will first Pre-Fill (Not Apply) the Application. After filling, We send back the application and takes your approval. You will be asked to reply which Passport Seva Kender (under your jurisdiction only) wants to apply, the available dates will be given to you. You need to approve the Date and PSK. Once you approve, the Application Fees and Our Processing Charge will be paid by You. 5. We Send You Appointment By Email/Whatsapp. 6. You Need to Take Print Out of this and Take to Passport Seva Kender, the Address will be mentioned on Appointment. 7. Other Documentation and Paper Work like Making of Annexes/Affidavits Required, Will also be mailed to You. 8. Check List Will be given to You at the Time of Going for Appointment. 9. Approach the Passport Authority in Full Preparation for Verification and Bio metrics. You can also apply yourself online and take appointment by understanding the simple process. Add Rs 1000 Per Passport as Our Service Charges.